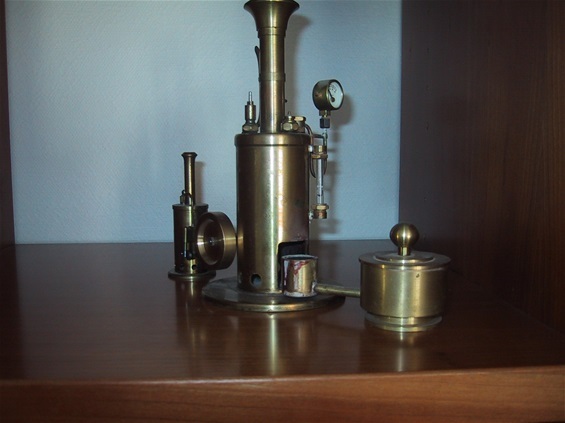 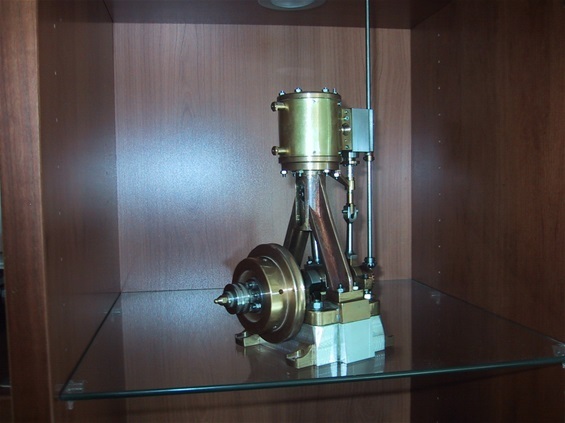 Second made steam engine also made on the Emco Compact 5. 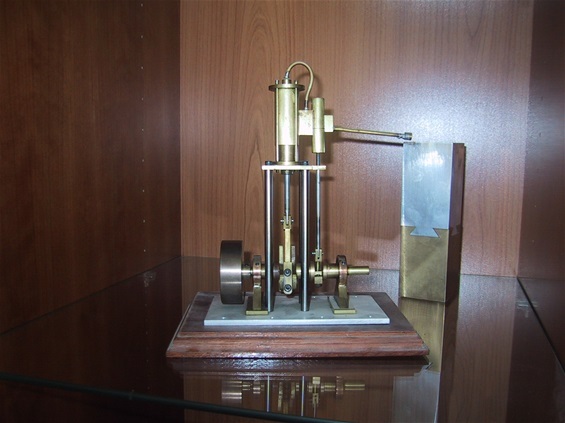 Another steam engine made to my own design. 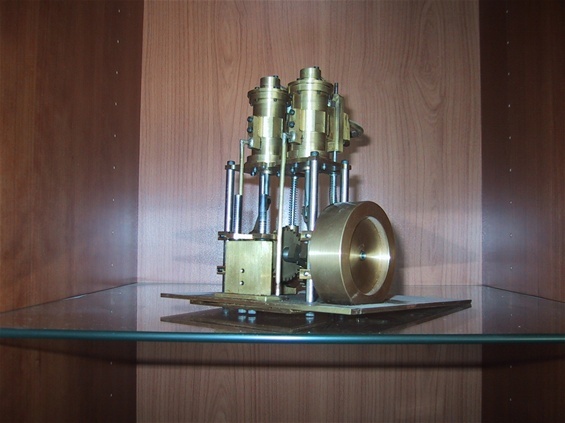 At that point I had the slide valve figured out. 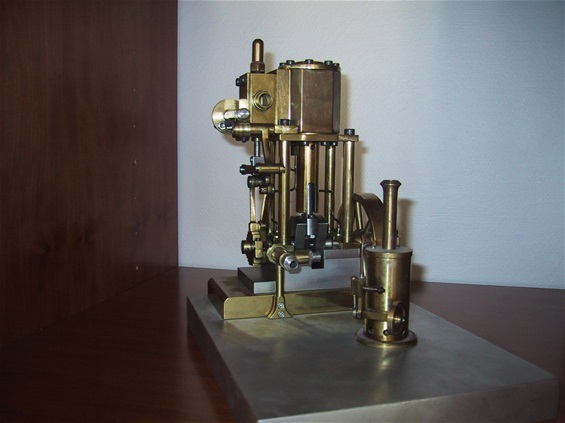 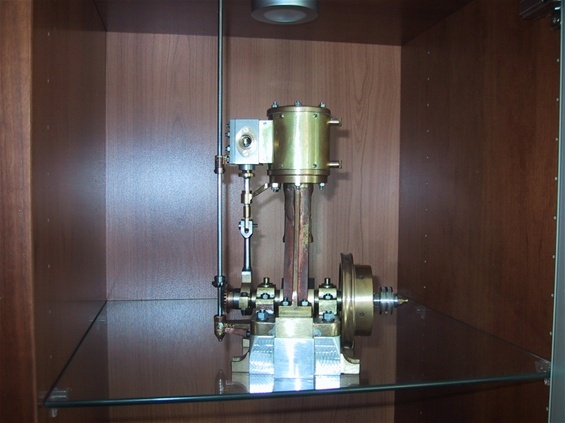 A very small oscillating steam engine integrated with the boiler. 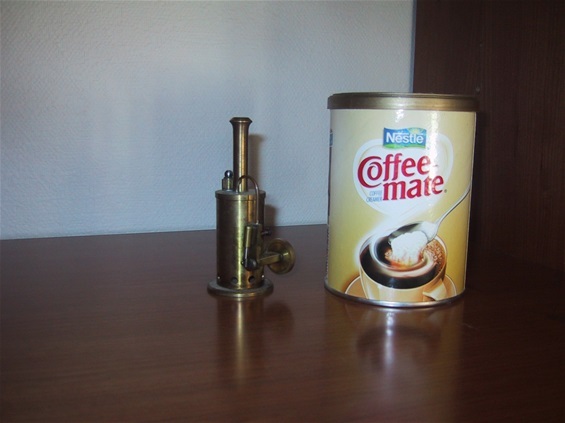 And here is a bigger one. 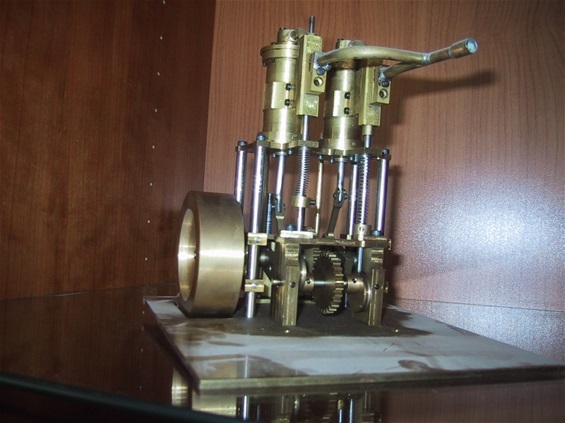 And then came the time to make a model with Stephenson valve gear.